The team behind Inspired To Ski are amongst the best in the business. The structure of our courses allows us the flexibility to select the best instructors in the business. They are not only highly professional and qualified but extremely motivated for the success of their pupils. All independent ski teachers with many running their own ski schools and training programmes in Europe. They are internationally qualified (ISIA), hold Britain’s top ski teaching qualification (BASI 1) and have reached the level where they are responsible for training other ski instructors how to teach. Private lesson within a group. Our team work as a group, communicate, encourage, have fun, enjoy the experiences but most importantly they are working with YOU the individual. Being in the right group is, of course, paramount but everyone has their own aims, ideas, needs and require individual feedback and guidance. TEAM INSPIRED understand this and aim to achieve this end. It’s like a private lesson within a group environment! Below are a list of trainers that work with Inspired To Ski. Other instructors, not listed, will also work on our courses but rest assured they are all extremely professional, qualified and experienced. 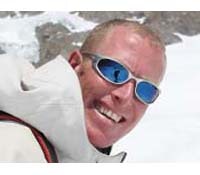 Tim has many years of teaching experience having worked for British ski schools throughout the Alps. He now works out of Les Gets for his own Ski School LGS and teaches on the Inspired To Ski early season courses in Tignes and 3 day Courses in Morzine. A very popular teacher, enthusiastic, fun and very motivational. Based in Meribel as an Independent Ski Teacher. Martin is an independent ski instructor working out of Meribel in France most seasons. He loves meeting new clients in the Alps and thrives in the process of introducing them to the sport of skiing and the mountain environment that he has chosen to be his office! 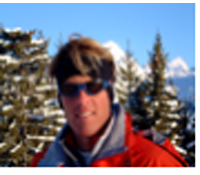 He has a very caring manner, loves teaching all skiers from beginner to expert and enjoys the INSPIRED TO SKI course atmosphere, on and off the slopes! Back in the UK each summer he works as a wedding photographer. His interests: skiing, mountain biking, running and meeting people, also a very keen landscape photographer and general photographer. A great assest to the Team at Inspired and a very friendly, professional and fun teacher. Lisa was born and bred in Perthshire, Scotland. She learned to ski at the ripe old age of five, spending almost every weekend each winter up in Aviemore and the Cairngorms with her family. 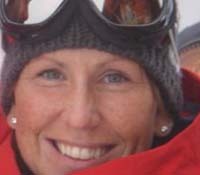 She has been teaching full time now for 4 seasons in Morzine and teaching for Inspired to Ski on our 3 day Courses here. Lisa is also qualified as a Personal Fitness Trainer and Sports Massage Therapist. ‘Skiing is my Passion! Hobbies are mountain biking, walking and sunbathing!’. Rupert has worked as part of the Inspired Team for several years now. He usually teachers on our pre-season ski weeks in Tignes and is a qualified Race Coach (APC2). Rupert has taught in Switzerland, Courchevel, Tignes, Val d’Isere and was Ski School Supervisor in Queenstown, New Zealand. He returned to the L’Espace Killy four years ago where he now lives and works throughout the winter season. Summers are spent mountaineering, reading, watching cricket, and writing satirical poetry! He has a great, relaxed but enthusiastic character that clients love and a real adoration for the mountains. He is always available for work on the Tignes Glacier for those who can not wait until winter. 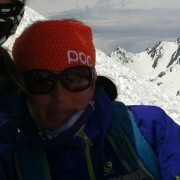 Internationally qualified alpine and telemark instructor. American Avalanche A.I.A.R.E level 2 Trainer. Annie has 20 years teaching experience in France, Italy, Switzerland and New Zealand. For the past 10 years she has worked in the Portes Du Soleil ski area and resides in France with her family (husband and two boys) for the winter months. Annie works on several of our courses in Morzine and is a key team member on the Women’s Weekends and Off-Piste Performance weeks. Annie is very passionate about her teaching and adores the mountains, she specialises in 0ff-Piste coaching/development when she can, enjoying the element of touring and being off the beaten track! Other keen hobbies includes, mountain and road biking, playing tennis, cooking and eats loads! Angus has been heading many of the Inspired To Ski Courses over the last number of seasons. 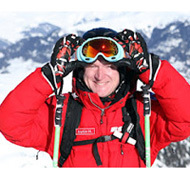 Born in Scotland, Angus has been involved within the skiing industry for many years. He ran his own Ski School in Glenshee for several winters and in the summer months presently runs his own Water Sports Center in Ellie. Now based in Meribel, within the main winter season, he teachers and manages his own Ski School, Parallel Lines, here. 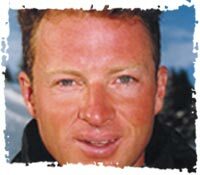 He heads our pre-season courses in Tignes and our Courchevel/Meribel Courses. Based in Chatel, France as an Independent National Ski Teacher. 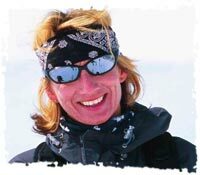 Helen has been teaching skiing for many seasons. She is such a great asset to our team, very experienced with adults and teaching children, adapting her skills to help complement which ever way you learn and whomever she is teaching. Helen lives in France year round and runs her own business. She is a very talented artist, when not on the slopes, loves the outdoors and a talented sports women experienced in many other activities. 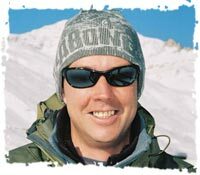 Dave has worked numerous ski season’s, has been a director of his own ski school in the Portes du Soleil and is a key team member at Inspired To Ski. He is extremely passionate about his skiing and teaching and heads several of the Inspired To Ski Courses throughout the season. An all round sports enthusiast, excellent windsurfer and father to 3 very keen boy racers! Dave juggles his life between the alps and running a Ski Surf Shop near to where he lives. Based in Morzine as a Independent National Ski Teacher. Luc Wouters lives and works out of Morzine with his family. He has been teaching with INSPIRED for a number of years now. 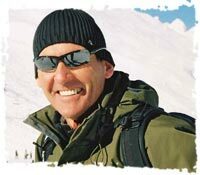 He works with a Local Ski School, called ‘Freedom 2 Ski’ and is also a fully qualified Physiotherapist. He is an excellent teacher, communicator and great skier. Interests include. Independent Ski Teacher, British Alpine Ski School, Morzine. Andy has been running Inspired To Ski Courses for many seasons. He has worked in the Alps for over 10 years, enjoying the ability to teach, ski and relish the mountain environment. He has worked several winters in the Trois Valley, Tarantaise but is now based in Morzine enjoying the more tranquil village life of the Haute Savoie. 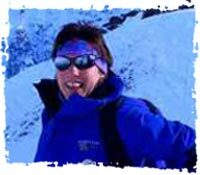 A very genuine, relaxed, character, very passionate about his teaching and helping people to improve and enjoy the ‘All Mountain Experience’. 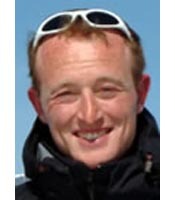 Andy is also an all round sports man, teaching sailing, amongst other sports in the summer months. Independent National Ski Teacher based in Morzine. Paul has been teaching snowsports in Europe for the past 9 seasons and has been based in Morzine and Les Gets for the past 5 years. Paul provides his clients with an exceptional level of tuition, flexibility and most important of all – fun whilst on the snow! He teaches on our 3 day Performance Courses in Morzine and runs his own Ski School, The Edge Snowsports out of Morzine during the winter seasons. Director of his own SkiSchool in Chamonix. 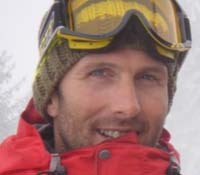 Mark made Chamonix his home in 1997 to become the first British qualified instructor to work for a Chamonix ski school. 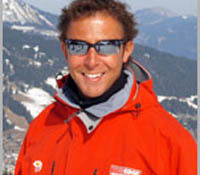 He is now one of the few holders of the highly regarded French equivalence and is one of the UK’s leading ski instructors. He has also competed in International FIS ski racing and now trains ski instructors to pass their exams. Mark now works for himself out of Chamonix, where we have a number of courses running this season. He heads our Chamonix courses and his fun and innovative ski teaching philosophies have earned him a renowned reputation for excellent results. Based in Val D’Isere as an Independent Ski Teacher. Tansy has been working in Val d’Isère for over ten years. 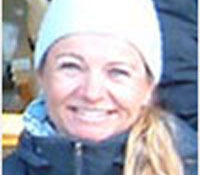 She is a fully qualified International Ski Teacher with the French equivalence. Tansy enjoys all aspects of skiing from the nursery slopes to the fun of moguls, giant slalom and ski touring. She works on our early season courses in Tignes. She is keen to see more female skiers improving their all round skiing skills to enjoy the whole mountain and all that it presents. 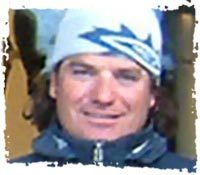 Josh worked as a ski coach in Courchevel for three seasons before, coming to Val d’Isere in 2003. Before that he was based for several winters in Austria. Josh also spent the 2003 summer teaching skiing in New Zealand. Josh had been away from the Alps for a few years as he has been selling real estate in the Caribbean. But his love of the mountains and skiing could not keep him away from Val d’Isere where he returned in 2009 and works for the main part of the season. Josh is a fully qualified BASI Level 4 instructor, and was once a BASI Trainer, he is a master of mogul skiing, ”The Maestro” loves his short turns almost as much as his London fashion!